Our Information Strategy and Advanced Analytics Expert. 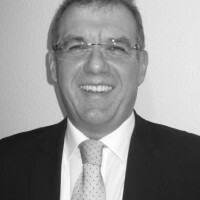 He is a professor at the University of Ludwigshafen in Germany, teaching Business Intelligence and Information Management.His research focus is on BI, Big Data and Information Strategy. He has been working for more than 20 years in the Information Management and BI Field in academia (University of St. Gallen, MIT/ Sloan School of Management) as well as in consulting. He is also a co-founder of the BI Academy and a board member of the Institute of Business Intelligence (IBI).